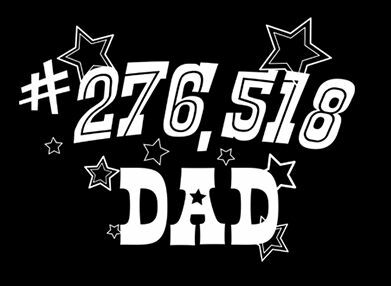 This one is supposed to be funny, because you normally see World’s #1 Dad on shirts, but this one has #276,518. As a father, I have to tell you, if I got this shirt from one of my kids, I’d be super happy, because how many dads are out there in the world? 3 billion? 7 billion? At 276,518 were talking upper 1% of the best dads in the world. I’ll take that! That’s not bad at all. Once I explain this my kids will take a sharpie to the shirt and add a couple of zeros.